Cyndi Lauper in Montreal or Quebec City? Inform me about the next events for Cyndi Lauper. Enroll yourself to our priority waiting list for Cyndi Lauper to be alerted when new tickets are available. Filling this form doesn't engage you to any purchase. Don't miss Cyndi Lauper's return to Montreal on October 26th, 2013. 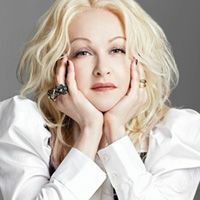 Lauper will be performing at the Metropolis, as part of her She's So Unusual - 30th Anniversary tour. The last time we saw Cyndi Lauper perform in Montreal was in the summer of 2010, during the Jazz Festival. This time, she will pay hommage to her first album, which brought her in the public eye and sold over 20 million copies to this date.